Some time ago archaeologists discovered a wooden pathway in the peat of the Somerset Levels. It enabled neolithic people to pass through the muddy ground to the islands which then constituted this now drained land. All the wooden pieces preserved in the peat were products of coppicing. This is a technique in which trees are chopped down but the stump left to regrow poles, which are then used for many purposes. Coppicing has been the means by which British woodlands have been kept healthy and full of life. Take a look at the picture below and you will see an example of a tree that has been properly coppiced and well tended, and you will see that in the background there is another tree in the same condition. What you are looking at is a coppice, a kind of woodland that has a long tradition in the British Isles behind it, and many believe still has a long future. Walk though a woodland and you will sometimes see a stump that has regrown branches. Often these are in early stages of growth, but in a neglected coppice they can be full sized trunks.The basic biology is that when a tree is felled it is not dead, for its stump remains alive and can regrow. You will note that small stems spring out of a stump. Over the years they will shoot up and become taller and thicker. Ancient people spotted this characteristic of trees so often they did not grub up the roots of a felled tree, but left it to produce shoots. The advantage of coppicing is that woodland was not destroyed when humans too timber, but regrew naturally. There are some woods in parts of Britain which arborists and archaeologists think have been coppiced for millenia and derive in direct line from the ancient wildwood. They are not, of course, wildwood, as the wildwood is gone, but they are its successor. The characteristic of these ancient woods is that they often have large coppiced stools and the remnants of an earthen bank around them, which was a defence against predatory animals. This bank was in the past fenced or hedged at the top to prevent deer crossing it, as deer are quite ready to eat young tree shoots and bark. Such coppiced woods differed from woods used as wood pasture, which was a woodland used for animals, such as pigs, which the English cropped in woodland during Autumn, where they fattened upon acorns and beech mast. 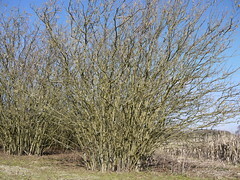 A variant of coppicing was pollarding. Whereas a coppiced tree is cut down to near the ground, a pollarded tree is cut well above head height and certainly above the deer line, the height that can be reached by a grazing deer as it cranes its head. The advantage of pollarding is that it allowed woods to be used for grazing and wood crops. The poles were cropped and used for the handles of brooms, farm tools, hurdles and whatever required a long thin pole. During the Middle Ages a system of woodland management grew up. I must say that it did not apply in forest. Forest is a legal term that nowadays denotes a wooded area, but in Mediaeval times it denoted an area where hunting rights were reserved by the king, and there are areas of forest today that are not remotely wooded and never were in recorded history. In the forest deer were allowed to run wild and so the thin shoots of coppiced tree would soon be eaten by them. Forest was at best woodland pasture disrupted by deer hunts. 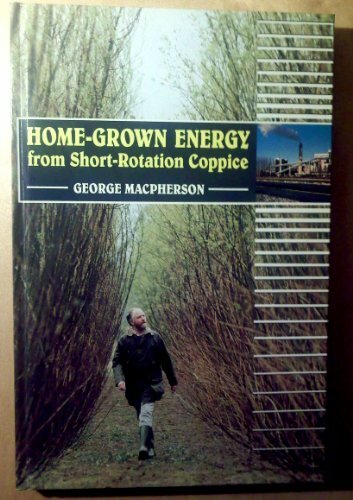 Foresters became adept at the art of coppicing, and they worked according to a cycle for different trees.Hazel was cut every eight years, ash every fifteen and oak every twenty five. Beech could also be cut, but it is a tree that does not coppice well and so was not cut on a regular cycle. But before the poles were cut they were trained by being tied to prevent them from growing crooked and so being useless for tool handles. So they would be originally tied at the bottom to determine direction and successively new ties would be added so that the poles would be straight. Willow coppice was also common in the British Isles, and if you have ever heard the Irish song Down by the Sally Gardens, the word sally gardens refers to the fact that some Irish villages used to have willow gardens to provide wood, which were regularly coppiced. Willow would grow well on the edges of the bogs that are common in parts of Ireland. Sally comes from the Latin name for willow, Salix. Coppicing was performed in Spring. There as an art to the timing. 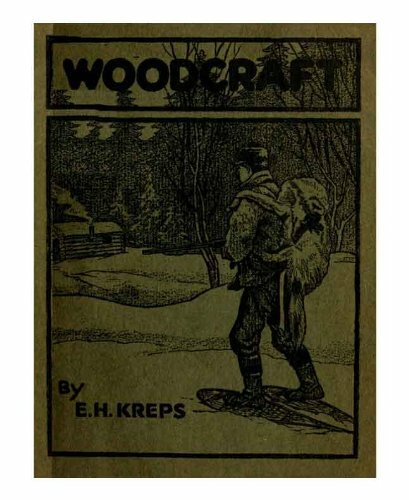 Too early, while it was still cold, the young shoots would not have time to harden off before they faced frost; too late the sap in the tree was rising and the tree would suffer a wound that could damage its future health. Any, dormant shoots were better to work than shoots with sap in them. 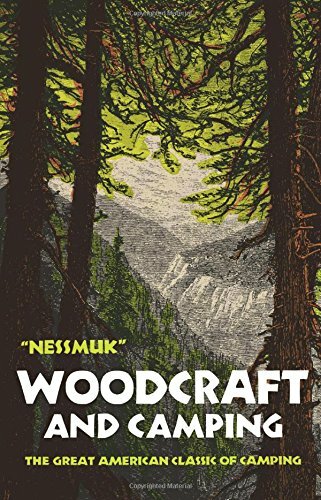 Foresters would cut the poles and sell them on to turners, who would use traditional lathes to smooth the wooden poles into handles for tools. If you know anyone called Turner their ancestors were woodland craftsmen who often used coppiced wood to make tool handles. There seem to have been advantages to having your woods coppiced, for the process encouraged biodiversity. The reason for this is that certain trees have a habit of dominating British woodlands. Oak is king, but beech can be quite aggressive in its growth. But as beech does not coppice well, cropping it for coppice allowed space in woodlands for other kinds of tree to grow, such as the small-leaved lime, which is a native British tree which has been struggling for habitat over the centuries. Coppicing also created glades that allowed the light that enabled wildflowers to flourish. The process fell out of use other than among some traditionalists and on some estates; and sometimes walkers would pass through an ancient woodland and see the remains of once coppiced trees. You could always tell them, as there would be a stump from which protruded secondary trunks. But over the years not all of these offshoots could grow, so two or three would stand out like huge boughs. such coppices can be quite dense, denser than standard woodlands as their trunks spread out lower than the branches of non-coppiced trees do. Occasionally you look at maps of southern England and see a wood called a copse. This is a local word for a coppice, though most copses are now not coppiced any longer, but are used as recreational woodlands. There are traditional craftsmen who use coppiced wood to make tools, but perhaps one modern use is in sustainable woodland management. There is a move to use bio-fuels, but chopping down a tree and grubbing up its stump is ecologically destructive, so those who grow wood for the growing number of wood-fired power stations sometimes coppice the woodland and cut it on a cycle, maybe every seven years. Coppicing is an ancient art, but in our day we are redicovering the truth that modern industrial ways are not always best and that the old ways have something to teach us. Thank you for commenting, friendly comments are always welcome, as are new readers and writers. Indeed an interesting process, and quite useful. Torver is the site of an annual fair that includes some Lakeland crafts, so it is possible that a local craftsperson is coppicing to produce the wooden parts of traditional tools. I know that there is a fellow in Dufton [not near Torver] who produces traditional wooden rakes, so there could be other craftspeople elsewhere in the Lakes using coppiced wood. At Torver were they actually practising coppicing? If so, I will be quite impressed, as we need to revive t.his old practice. I know that on my walks through the Lake District my gardener's eye spots the woods that show signs of having once been coppiced, but are now left to grow wild. Thanks for the foraging comments. I love foraging and do leave much behind. Here where I live, the council have planted community orchards where we can all go and pick fresh fruits as and when we wish. But people do treat them responsibly. Thank goodness. We have apples. pears. plums. greengages. medlars and damsons just now. I came across Coppicing when I was visiting Torver near Coniston in the English Lake District . It makes sense although I had never even given the idea any thought before then. Thanks for this article. Excellent and well written as always . 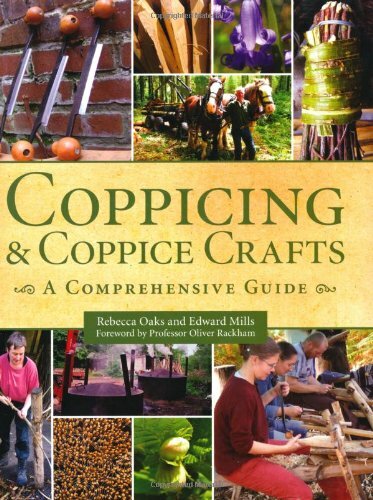 I never heard of coppicing so thank you for a wonderfully educational article. Love the pics too! How interesting. 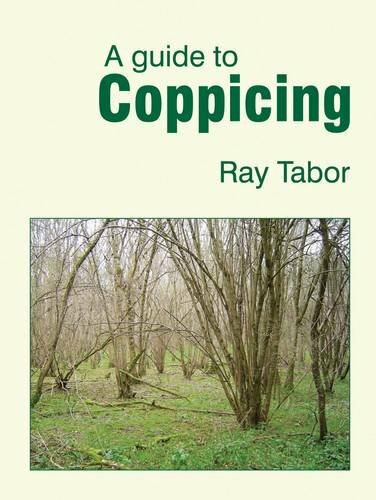 I have never heard of coppicing. 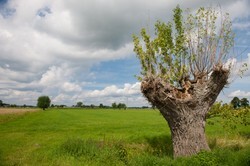 It makes complete sense to allow the stump to continue to produce new growth. Gardeners have always responded to climate and so as the Earth's climate changes garden planning and planting should change with it. Hedges in England have a variety of characteristics and whether they can be ancient or modern can be told by the trained eye.